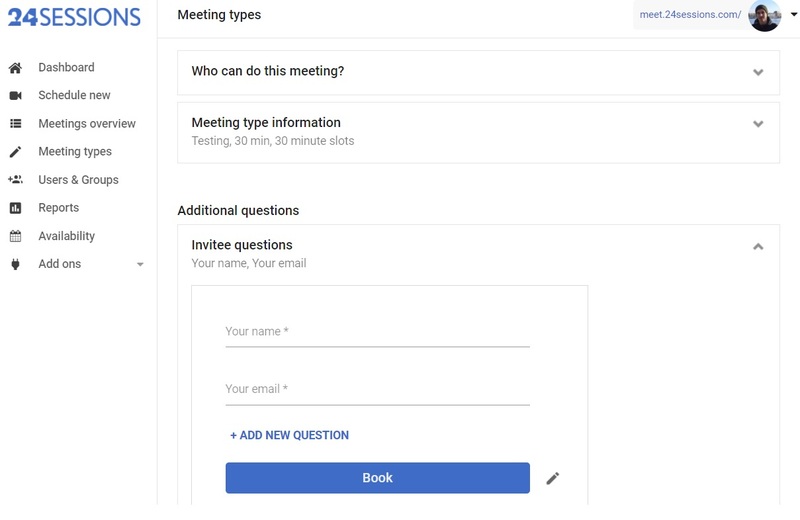 How do I create a new meeting type? Meeting types are the key to schedule and get booked for new meetings. From 'Meeting types' in your 24sessions account click 'Create meeting type'. 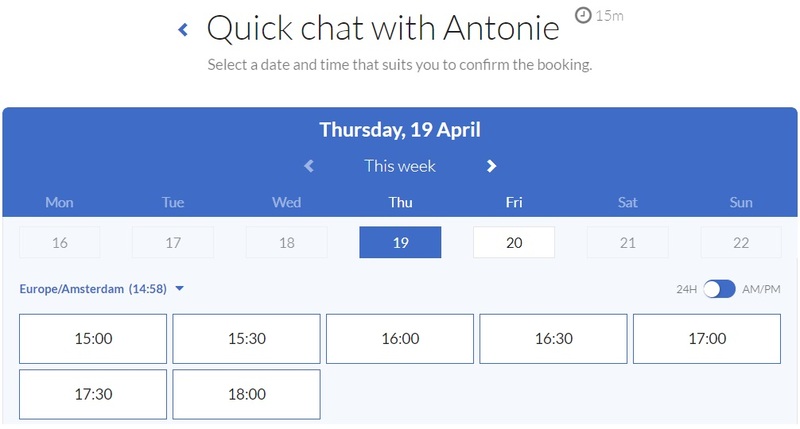 Choose if you want to create a meeting type for yourself or for several users. Choose the users you want to add to this meeting type. 4. Fill in the name and customize the url of your meeting type. 5. Choose the meeting duration (max --> 180 minutes). Bare in mind that your meeting type duration is indicative. You meeting will not automatically shut down if the discussion keeps going for more than the pre-set time duration. 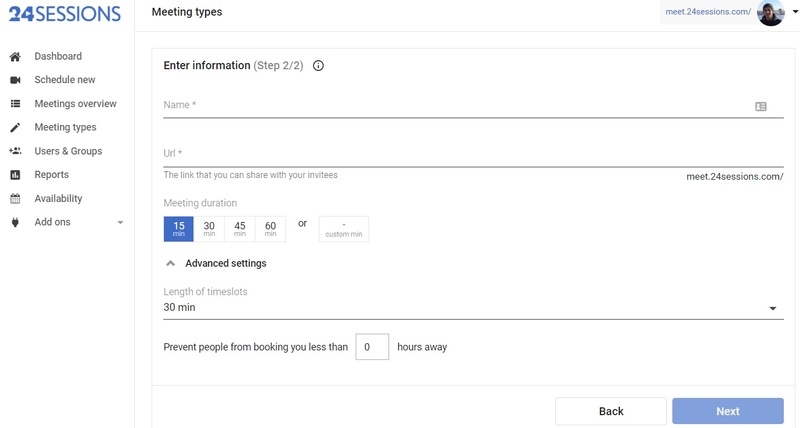 Decide how much time you need to prepare before a meeting via the 'Prevent people from booking you' feature. 4. Click save and your meeting type is ready.